Time for a New Tall Ship? Number one question of the day: WHAT IS IT? Answer of the day number one: Plankton. Number two question of the day: Who sailed 27 of 31 days last October? 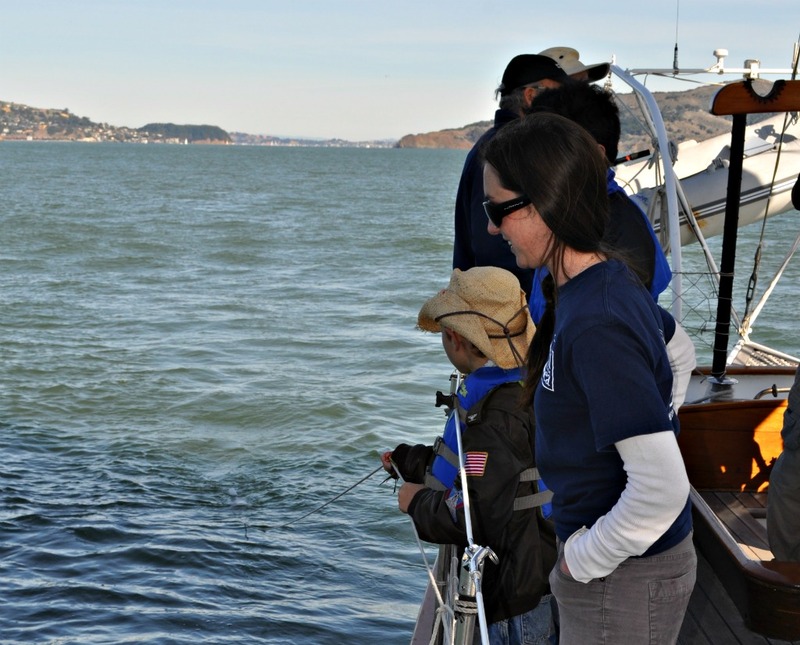 Answer of the day number two: The schooner Seaward, operated by Call of the Sea, an educational nonprofit focused on marine sciences, nautical heritage, and the environment on and out of San Francisco Bay. 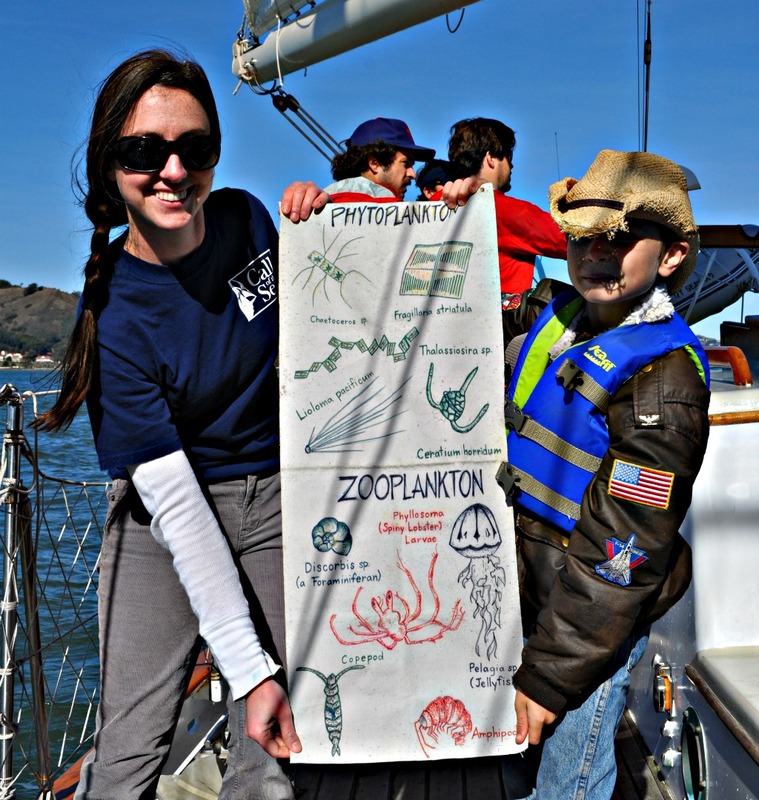 Aboard the Seaward it is an everyday thing to troll up plankton . 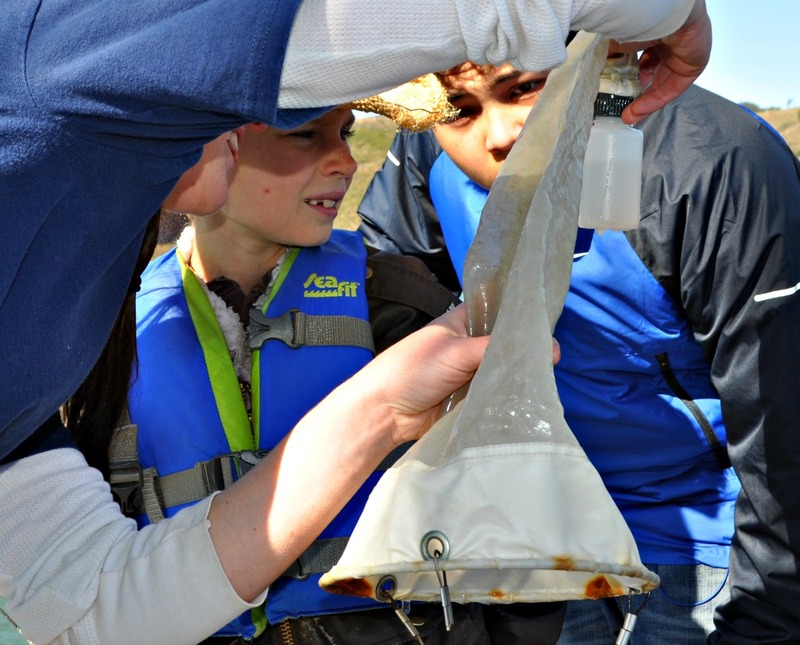 . .
And study them under a microscope, then match up the tiny wigglies with the big board that shows what’s always there in the waters of San Francisco Bay. 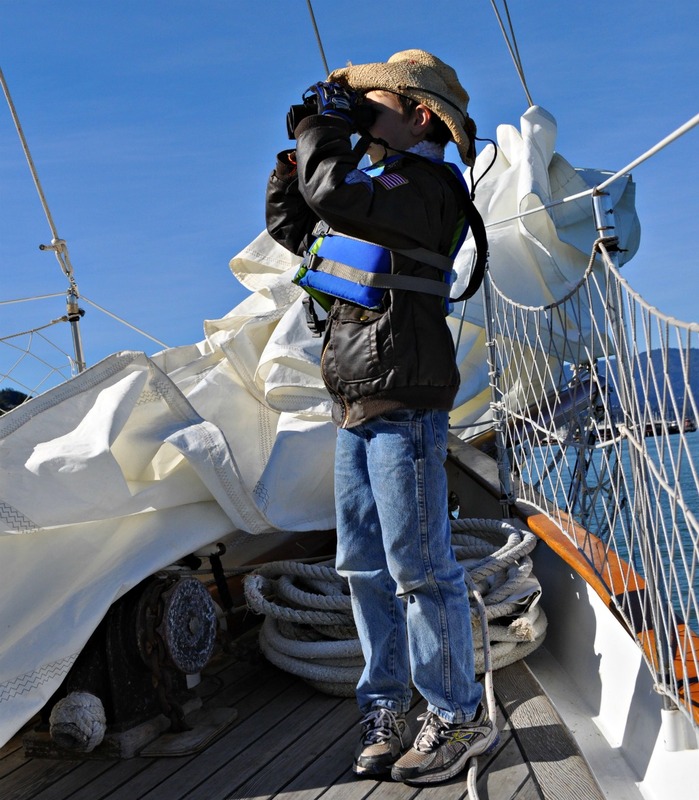 Seaward carried 5,000 passengers in 2011, most of them schoolkidsmostly three hour day trips for elementary students; overnight trips available for teenagersto share the rich, lively wilderness lying at our doorstep. You could see it as an audacious proposal to launch into a difficult fund-raising environment, or you could see it as the first step in a journey of a thousand miles. 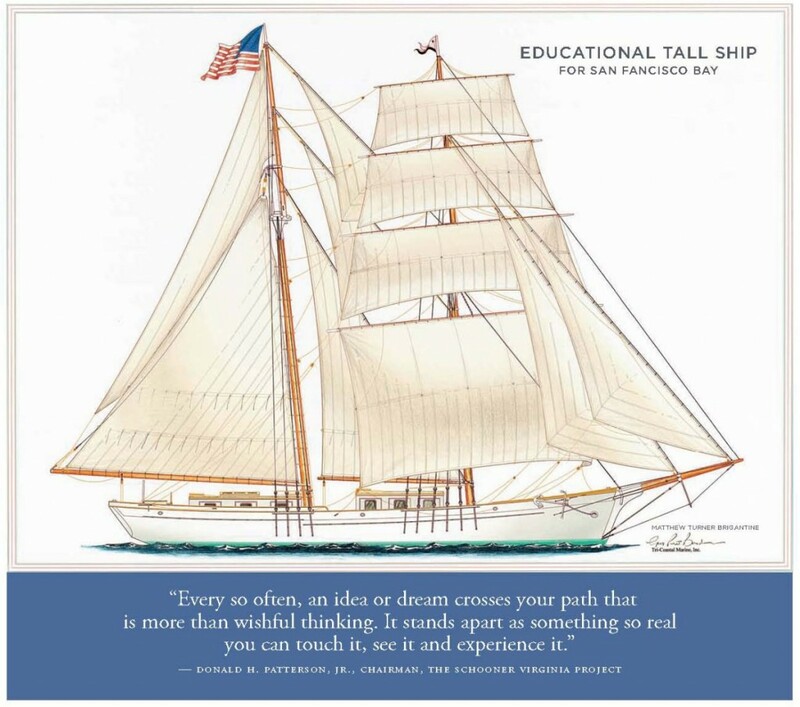 Educational Tall Ship, as names go, sums up the intent of the project rather well. 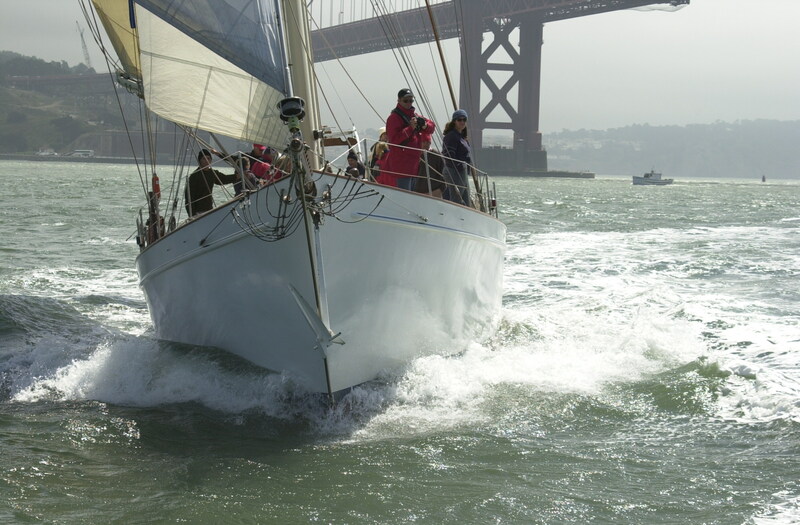 When that day comes, the action on deck will look a lot like a recent winter Sunday aboard Seaward. 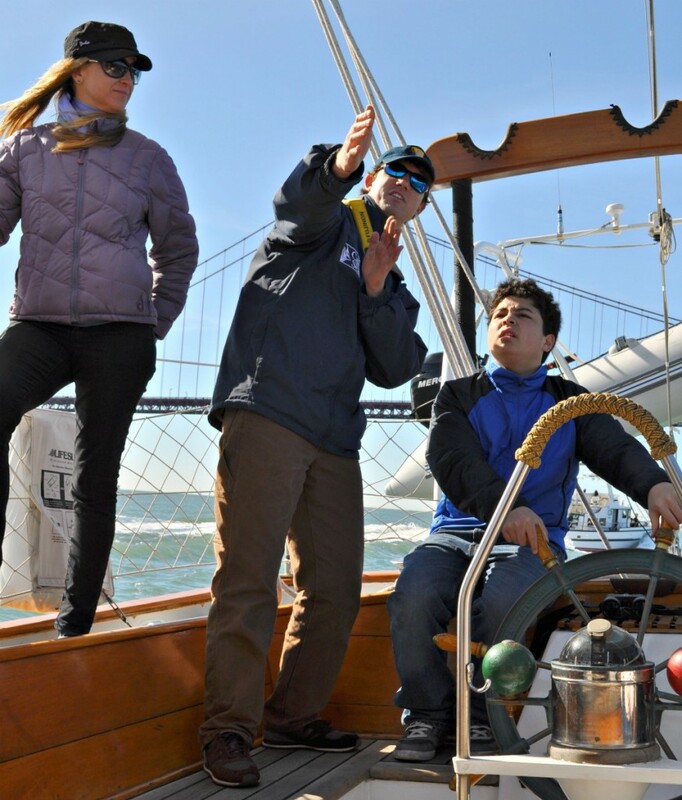 This was not a student trip, but there were a couple of younger souls aboard, and the teaching went on because Haley (“There’s plankton in your toothpaste”) Chutz, frankly, has no off switch . . . Nor does Ryan . 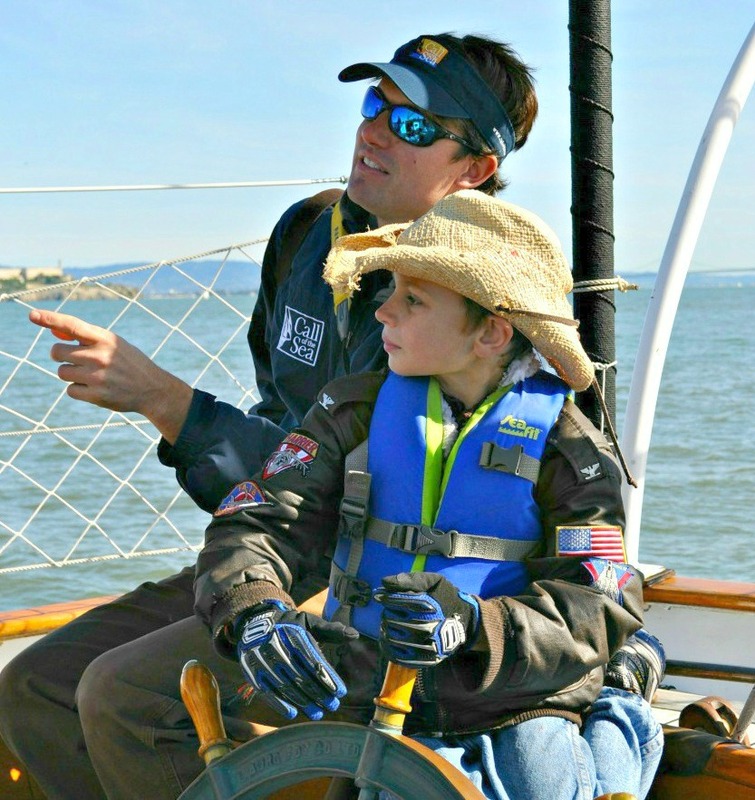 . .
And of course, everybody gets to steer. Jon D. Got the call . . . 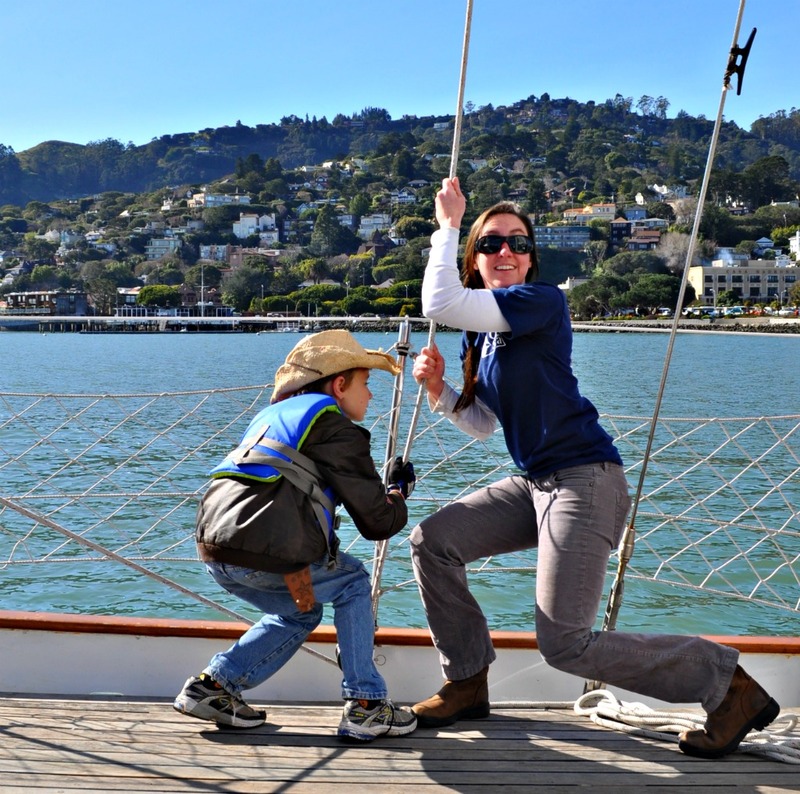 Except the shot below, Seaward coming at you, courtesy of Call of the Sea, which also does private charters to support the teaching mission. If you’re looking for a charter opportunity that is attractive, comfortable and 120 percent professional, you won’t go wrong here . . . It was built to test a notion that today would be regarded as wacky from the get-go, but back in the day, a proposal to dam off San Francisco Bay at the Golden Gate fit with notions of “progress.” And what an incredible build it was. The model, that is. 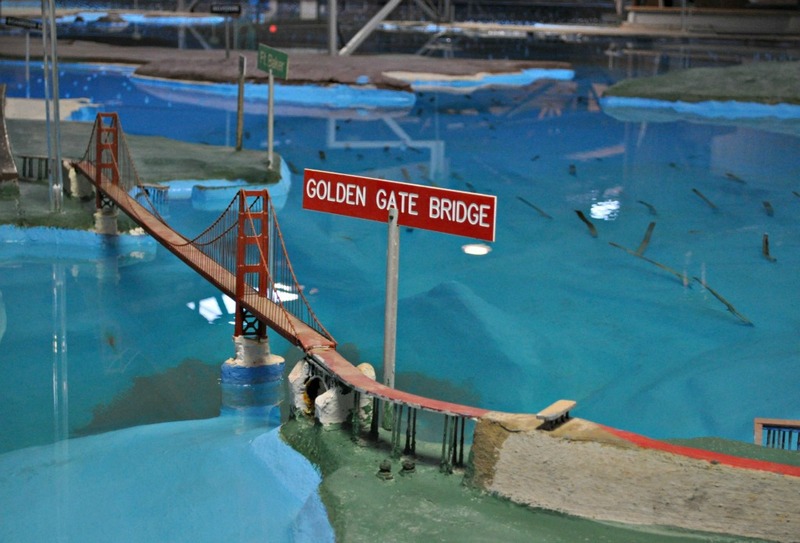 Enormous and enormously-complex, the San Francisco Bay Model was purely an engineering study at the time, but now it’s a public facility. After a hiatus for an overhaul, the massive hydraulic pumps are pumping again at the 1.5-acre Bay Modelthere’s nothing to match it anywheremimicking current patterns from Sacramento and Stockton to the Golden Gate. By operating the model, and observing the flow or lack of flow and the consequences thereof, the US Army Corps of Engineers demonstrated to its full satisfaction, mid-20th century, that damming off SF Bay was a no-no. 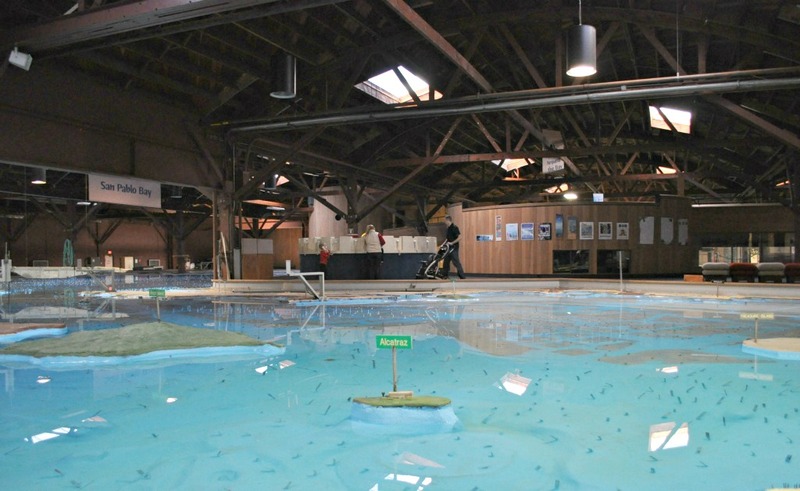 Today the Bay Model is a visitor center and even a community center for the town of Sausalito, just north of the Golden Gate Bridge. Years ago I would go there when that transformation was only a dream. I used to give tide lectures there too, and drop confetti into the water so that people could follow a six-hour tide cycle scaled down to six minutes. Since then the model has been, shall we say, re-modeled. It’s a great visitor experience with no door fee, though I don’t think they’re encouraging confetti any more, and that does make it harder to spot the finer points of currents and eddies. Bay Model doors are open Tuesdays-Saturdays, and on February 25 there is an official re-opening to celebrate extensive refurbishing that includes a new roof covered by solar panels, energy efficient lighting and a general sprucing up. Seaward berths on the Army Corps dock, and I hadn’t toured the model in a while, so imagine the convenience . . . Learn more about the Bay Model right here.